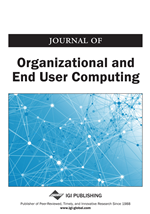 This paper reports the perceived problems, issues, or concerns of eighty-one LAN managers surveyed in as many U.S. corporations. The most frequently perceived issues were: managing LAN capacity or coordinating LAN users, setting up access rights or user accounts, planning LAN growth, ensuring LAN reliability and uptime, ensuring good LAN performance and response time, and training and educating users. For individual managers, the total number of issues they perceived was not influenced by their job-related characteristics. It was, however, strongly and positively influenced by annual LAN budget. In turn, LAN budget was very strongly dependent on LAN size. However, the association between LAN size and number of issues perceived, although significant, was not as strong. The paper concludes that there exists a causal chain wherein only annual LAN budget directly affects the perceived issues of LAN managers. The implications for information systems executives and top management are discussed.